Goodness, look where we are right now… we are in the middle of the middle of the year! Where’d the first half of the year go? One of the things I love about mid-year is travel planning. I usually allot this time of the year to plan my travels for the next 6 months. And judging from the Facebook feeds I’m seeing, I don’t think I’m the only one who’s been planning their travels. Well come to think of it, travel planning anytime of the year is always a good idea! Sometimes the most challenging part of travel planning is simply knowing and deciding where to go. And this is when a site like TripADeal comes in very handy. Because sometimes, not only do you need suggestions, but you also need a getaway without the headaches of building an itinerary piece by piece. What sets TripADeal apart from other package travel deal sites is they have a live built-in calendar booking system so you can actually see what travel dates are available. I’ve had one experience in the past with another travel company where I chose dates, booked, and the website told me that they will get back to me in 24-48 hours for confirmation (yet almost giving the reassurance that all should be well). Lo and behold 48 hours later, I got a response that my travel dates were unavailable. To those who travel plan a lot, you’d know that the 48 hours wasted is eternity. Had I known, I could have used that time to look for other flights/deals. But I’m glad that TripADeal has this live calendar feature so you can book with confidence. The other thing I like about TripADeal is the people behind it. This company is based in Byron Bay, NSW and the team is composed of travel-loving people who know what indulgence is all about. After all, they themselves start their day by a dip or snorkel in the beach before heading to the office! So needless to say, what I like most about TripADeal is the KIND of trips that they assemble and offer. Because they’re my kind of travel! For instance, I’m lusting over their West Coast, USA deal at the moment. The package they’re offering is AUD 3099 including international flights, accommodation, luxe coach transportation, sightseeing and National Park entrance fees. I can tell you for sure that though our West Coast trip was done a couple of years ago, we spent much more than AU 3099.00 per person and am obviously wishing this deal existed back then. The other package from TripADeal that caught my eye is the 19-Day European Experience with a 14-Day Mediterranean Cruise. On board the MSC Magnifica, the cruise will be heading to Italy, Greece, Turkey, Croatia and Montenegro. A month ago, I just finished a 2-week Mediterranean cruise myself, so I’m really stoked that TripADeals offers the kinds of travels that I indulge in. 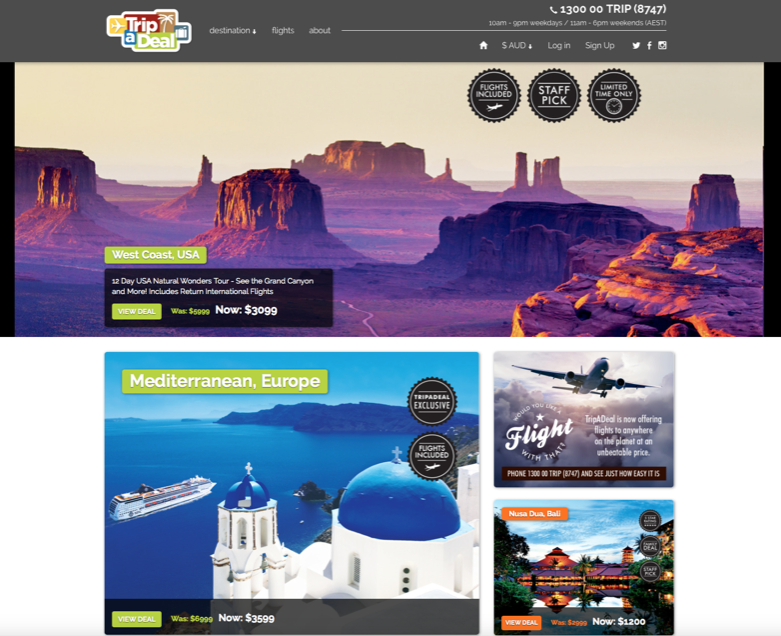 AUD 500.00 Travel Voucher for use towards any TripADeal trip! This competition is open worldwide to readers who are at least 18 years of age. Drawing the winner: One (1) winner will be drawn via Rafflecopter. Winner will be announced on Holy Smithereens Facebook page on 01 July 2015 AEST (Australian Eastern Standard Time ), and the winner will also be contacted via email. Do note that though this giveaway is open worldwide, if the trip that you chose involves flights, they depart from Australia. If you don’t need the flights, you can choose just the land tours. The winning voucher cannot be redeemed for cash or exchanged . The voucher will be valid up to 12 months upon receipt. 1.) Enter your email in the Rafflecopter box below. (In doing so, your email address will also be entered on TripADeal’s newsletter.) You will also be subscribed to Holy Smithereens’ newsletter. Well really, you wouldn’t want to miss out on any exciting travel deals and juicy travel reviews and stories do you?? Write a comment below and tell me which TripADeal getaway you’d like to take! or activities I personally will not use or engage in. It would be totally amazing to win the West Coast, USA deal as apart Las Vegas, I have never been to the other places in the itinerary… Wish me luck!!! I would love to visit the West Coast and see all the beauty there. I would love to go to greece. I fancy the Mediterranean Cruise. That would be fantastic! A great comp Jean! 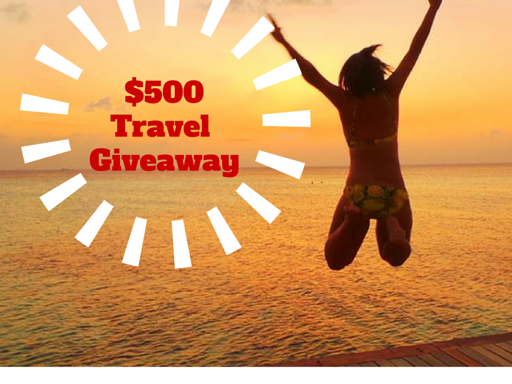 I’m sure everyone could use $500 off their trip! The west coast would be lovely, but then I’ve been lusting for Greece?! Thank you for the chance!!! Been awhile since I’ve been able to travel. This would surely help me get started again! The Mongolia trip looks amazing. West Coast deal! Even though i live in California, I would love to see Utah and Montana! Anywhere with a beach- I live in Wisconsin!! I’d love to do their “4 Day Wilderness Escape – Ultimate Kakadu Getaway” trip to see more of Australia! I would love going to India! Any of the trips to Bali would be great!! Id love to go to Australia , Rome, Paris , anywhere in Europe. To pick one, it’d have to be the Caribbean! 11 Day Journey of Magical India fo shiz! I’d love the Gold Coast Australia Getaway. Would love to use it all in the Philippines! Thanks for the great giveaway! Would love to do Sri Lanka tour. I’d definitely choose the European holiday, and the highlight would be the mediterrean cruise … what a dream come true that would be! I would not know where , I would love somewhere I have never been before, so hard to pick . Euro maybe , a cruise . We’ve been thinking about going to the US and doing the national parks next (have been holding off until our daughter got older), so that West Coast package is looking pretty good! I would love that 12 Day USA Natural Wonders Tour!! The European trip would be glorious! Thank you and good luck to all! I would love to go to greece or other european countries. I would love to you to Europe. I would love to experience the West Coast, USA deal. I Love the outdoors, but Have never experienced it like I want to and this would be awesome! I have’t been on a honeymoon or vacation in over 18 years. So any location that I can win would be much appreciated. Off to Vancouver, B.C. if I win! 14 day Mediterranean cruise is on my bucket list! I would love to travel to Europe! West Coast USA looks amazing and would be so much fun. It would also take me to places I’ve never been! i would love to go and visit west coast.. Thanks for the great giveaway! Fingers crossed xoxo I would love the Mediterranean Europe package! Definitely the West Coast trip! I want to go to Australia!! I have never been to the Grand Canyon…that’s where I’d go. I would definitely go to hawaii! 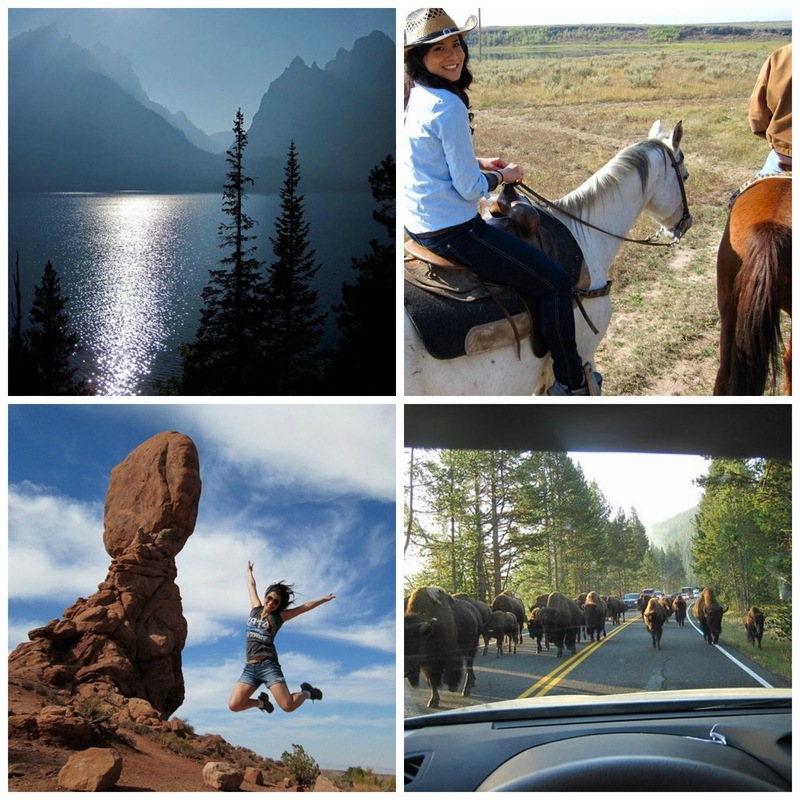 The trip to National Parks and Vegas looks amazing! The West Coast Package would be great! My son has never been further west than Alabama! Without a doubt, the Mediterranean Cruise! I would love to go to Greece!! Thank you for the opportunity! I would absolutely love to take a trip to Tahiti (Bora-Bora & Moorea). West Coast, USA deal looks absolutely amazing!!!! I would love to travel to Ireland. I have tons of family there that I would LOVE to finally meet! The Europe trip would be perfect! China’s National Treasures for me! I would take the West Coast, USA deal I’ve always wanted to go to America and it would be awesome to experience some of those places. Would love to do the West Coast trip! I’d love to take the Five Star Bali Jungle Escape – 5, 7 or 10 Luxury Nights for Two People at the Award Winning Komaneka Villas vacation! I want to go to the West Coast. I’d love to be able to experience Bora Bora. A Cruise anywhere would be awesome. Maybe a European one would be my first choice. The European experience would be amazing! I would love to visit NYC. wow awesome giveaway – thanks! I am always game to visit the West Coast. I could go every year! I would love to go to Greece, but the West Coast would be great. I guess I just want to go somewhere! I would love to take a trip to Italy!!! That 19-Day European Experience with a 14-Day Mediterranean Cruise looks awesome! I would love that! I’ve always wanted to visit the Mediterranean. 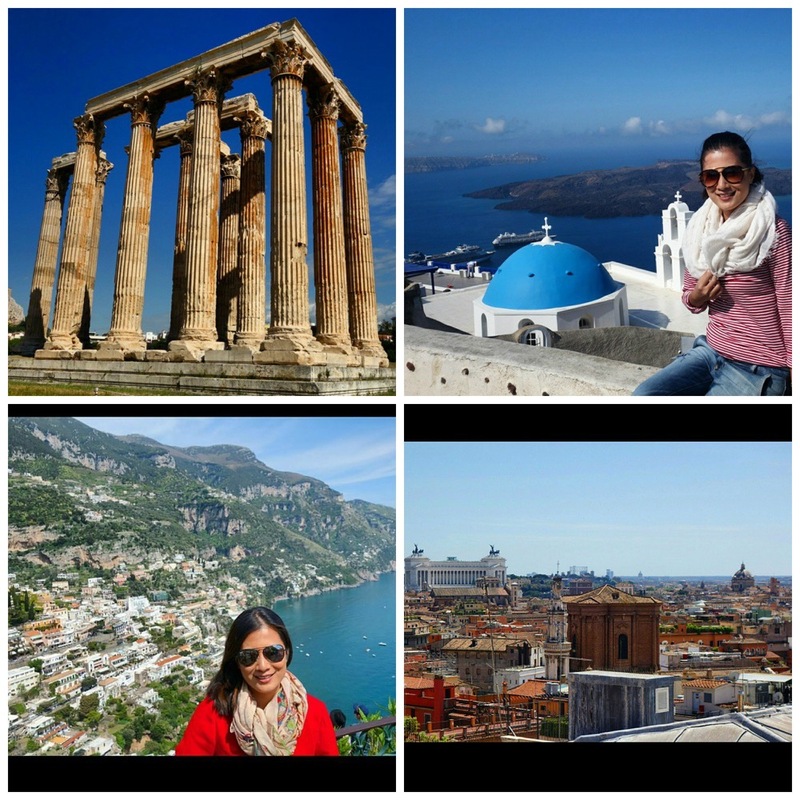 the European trip with the Mediterranean cruise! I would want to go to Thailand! Their day adventures look amazing! I would go on the West Coast trip! I haven’t been in years and it was like a second home to me. I would love to return! Hi, The West Coast USA would be an amazing vacation!! ( I would love to go to Europe but don’t have the extra money for transportation If that were needed.) I live on the East Coast and there’s so much to see on the West Coast. I’m Praying hard for this. Thank You and God Bless you!! I’m thinking the west coast looks fantastic! I would live the west coast Trip! Oh, how I would love the Mediterranean trip! West Coast for sure, especially since we’re living in Hawaii now. See it while you can! I would love the West Coast, USA! I really want to go to Hawaii! These all sound amazing! But if I have to choose just one the it would be the Mediterranean cruise. Thank you for the chance to win!!!! I would love to visit the the Greek islands! What a wondweful giveaway. Thank you for the oppurtunity! I would love to take my Mom to Hawaii for two weeks..i’m the oldest of nine (six boys and three girls) she has done a tremendous amount for us and also has been thru a whole lot especially in the last four years. My dad passed away at 60 and then two years later my brother passed away at the age of 31. It’s been rough but we all have come together to help one another. Taking her to Hawaii would be awesome!! i have never been further than a few hours flight away from my home in Bendigo, Vic, Australia. I would travel anywhere, but i have always dreamt of traveling to Rome, Germany or Italy. I would like to go to Australia! The Yellowstone trip looks amazing! I’ve always wanted to go there! The West Coast trip sounds fun to me! Grazie per il giveaway! Vorrei viaggiare in crociera nel Mediterraneo. West coast is the best coast and I would love to take my husband to see all those amazing sights! I would love a trip down the West Coast! Been a dream of mine forever. I want to go to Bali! The Euro Trip looks fabulous! I would love to go on the 19 day European Experience. The U.S West Coast trip sounds incredible! I have lived in Texas most of my life and am living in Indiana now, and have always wanted to explore the west coast and one of my biggest must-dos in life is to go to the yellowstone park. That would be a dream! The 19 day European Experience sounds LOVELY!!! Anything! My husband and I just need a vacation!!! The 18 Day European Bucket List Experience looks like a dream come true!